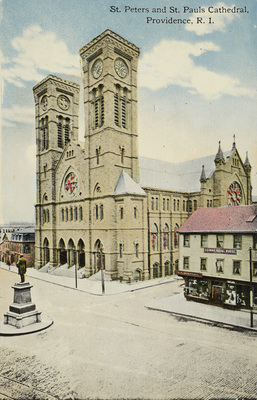 "St. Peters and St. Pauls Cathedral, Providence, R.I." by Max Latt, Providence, R.I.
St. Peters and St. Pauls Cathedral, Providence, R.I.
Max Latt, Providence, R.I., "St. Peters and St. Pauls Cathedral, Providence, R.I." (1915). Rhode Island Postcards. 343.